The life of an opera singer looks, from the outside, like non-stop excitement, glamour, and accolades. While all of that is a part of the life, it is, by no means, the entirety or even the majority of how I experience my life. Yes, I get paid to do what I love. Yes, lots of the shopping I do is for fancy gowns. Yes, I end many of my workdays with applause and a bow. However, the majority of my time is spent tediously translating musical scores from German/Czech/Italian/French/German/Polish to English, learning and memorizing the music and text from 300+ page operas, running scenes over and over and over, continuing on the never-ending and often excruciating journey to understand and take command of my vocal instrument, booking extremely expensive flights, figuring out how to pack heels, gowns, and stage makeup into a carry-on bag, putting my heart, soul and voice on the line in countless auditions, and sleeping. The “common” reigns in my life. But the common is what I love. As a Type A personality in an unconventional, artistic world, I often struggle with the irregularity and the overwhelming influence my career has on my life. My desire for structure, consistency, regular paychecks, health insurance, and stability often clashes with the realities of my career path. The day-to-day work is what gives me that structure. Every time I crack a new score, I know the outline of how the learning process will go. I have consistent vocal exercises that begin my daily practice routine. I have a set, trusted team of people I go to when facing any new decision, vocal frustration, or career question. And even though my instrument is ever changing (a highly irritating, but exciting aspect of being a singer), it is my constant companion. As I begin this blog journey with my sister, I am struck by how different our writing is. My brain is straightforward, fact-driven, and linear, while my sister has the artistic, creative, outside-the-box mind and writing style. How did I end up the professional artist and she the stay-at-home mom and grant writer? 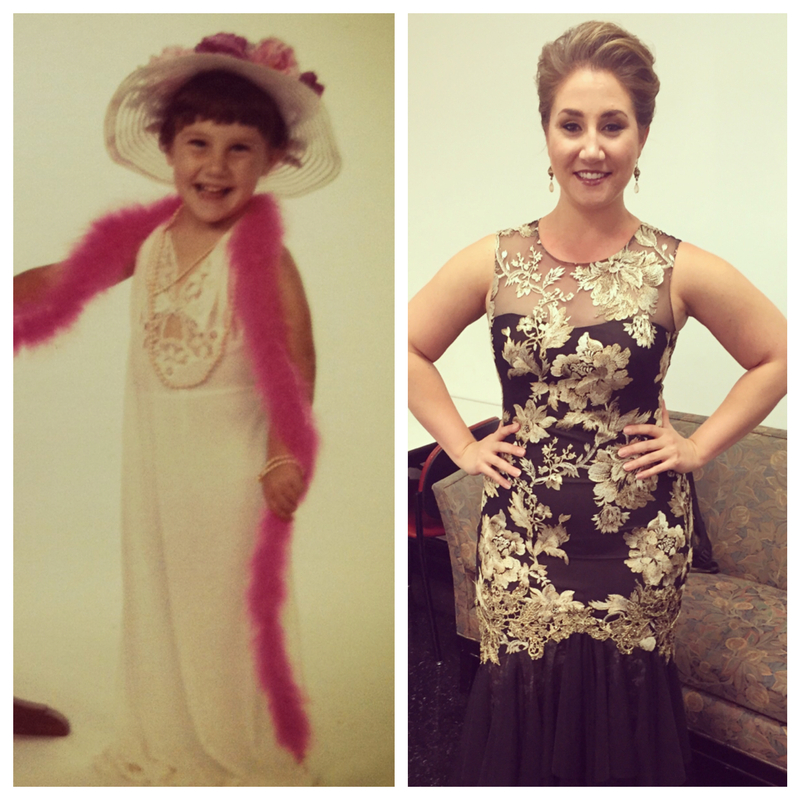 How did I go from being that little kid who would dance and sing for anyone (willing or unwilling) to the grown up who gets paid to dress up and perform for crowds, but wishes she could skip the bowing, center-of-attention part? How did I somehow lose my deep sense of creativity and how do I find it again, amidst the endless amounts of analyzing, translating, and micromanaging my craft demands? All I know is that this can only help. My hope is that this blog can help me explore what I love about my day-to-day life, warts and all. I hope to be encouraged by my sister’s quirky, imaginative perspective and to allow myself the freedom to create, get lost in my craft, and cherish the tedious aspects that make it, strangely, the perfect job for me.